Continuing our NR30 series this week, we focused on the leaders of the software development industry that make augmented reality experiences possible. In other news, two of the current leaders in making AR headsets, Microsoft and Magic Leap, are pursuing multiple verticals with their products, as both now appear to be interested in making AR headsets for the military. And while the consumer segment of AR is currently mostly driven by smartphones and tablets, it's that same mobile AR space that will likely serve as foreshadowing for future mainstream wearable-based AR experiences. The latest example comes from Snapchat and Amazon, a pair of companies now moving forward with a partnership that could eventually serve as the foundation for future AR smartglasses from Snap. The 3D content tools used to create realistic video games and immersive virtual reality experiences are, for the most part, the same ones used to build augmented reality experiences. As a result, Unity and Unreal are the engines behind the majority of AR apps. As these engines become more sophisticated, the AR experiences they power become more capable of twisting our world into the fantastical. At the same time, tools are emerging that are democratizing development and making it easier for non-coders to create AR experiences as simply as they would put together a PowerPoint or Keynote presentation. REALITY BITES: Initial results are in for two recent Pokémon GO imitators. Mobile AR game The Walking Dead: Our World has grossed $8 million worldwide within two months of release, while Jurassic World Alive has surpassed $25 million in gross revenues. While these returns may sound impressive on their own, remember that Pokémon GO closed its debut year with more than $1 billion in revenue. Citing bid documents and sources close to the situation, Bloomberg reports that the US Army is seeking technology companies to supply 100,000 headsets at a total price tag of about $500 million, with an initial order consisting of 2,500 units within the first two years of the contract. Microsoft has confirmed that it attended a pre-bid conference for the US Army's HUD 3.0 project, with Booz Allen Hamilton Holding Corp., Lockheed Martin Corp., and Raytheon Co. among the other companies meeting with Army representatives. While Magic Leap wasn't officially listed among the participants, a company listed as MLH with the website "mlhorizons.com" and the same address as Magic Leap is reported to have attended. As Bloomberg reports, Chosen Realities is a Magic Leap subsidiary, and has filed paperwork to do business as ML Horizons. REALITY BITES: It appears that Facebook is looking to build its own chips for "AR devices where our real and virtual world will mix and match throughout the day." Facebook's AR research arm, Facebook Reality Labs, is hiring a Silicon Power/Performance Architect. The company seeks to build processors that can run the computer vision, machine learning, and body tracking technologies developed at the company's research lab. REALITY BITES: Mobile game developer Telltale Games, the company that licensed games for Game of Thrones, The Walking Dead, and Guardians of the Galaxy, is closing its doors and faces a class action lawsuit over the resulting layoffs. However, mobile gaming's loss may be mobile augmented reality's gain. Ubiquity6 co-founder Anjney Midha took to Twitter to invite recently displaced Telltale talent to join the AR cloud company's team. His DMs are open! 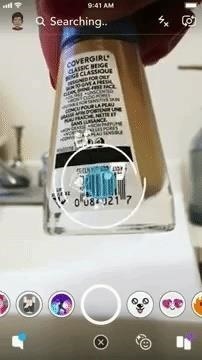 Now, when the app recognizes a barcode or a matching object, a card for the corresponding product on Amazon will appear on the screen. That card will then lead the user to the Amazon website or app to complete the purchase. Visual Search will roll out to various users slowly over the coming days and weeks (so if it's not available on your app, check back again soon). REALITY BITES: Instagram co-founders Kevin Systrom and Mike Krieger sent shockwaves through the tech world on Monday by confirming their intentions to leave their baby in the hands of parent company Facebook. 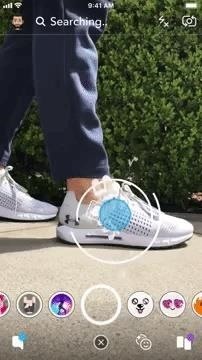 The duo has had a taste of augmented reality through the integration of Facebook's AR platform into Instagram, so it's worth wondering whether future AR software development could be part of their stated "curiosity and creativity" reasons for leaving. Meanwhile, the HR department at Facebook/Instagram competitor Snap, Inc. did not fare any better, as Mary Ritti, the vice president of corporate communications and Snapchat's ninth employee ever, revealed last week that she would depart the company at the end of the year.